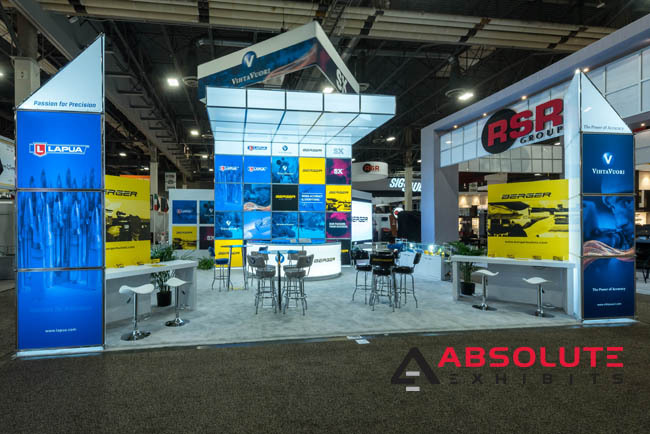 A Case for Ceilings in Trade Show Exhibit Design | Absolute Exhibits, Inc. In some cases, a ceiling can add a dramatic flair, standing out among the crowd and making a bold statement. This could be constructed of light boxes, drawing visitors’ eyes to the trade show booth and pulling them in, or it could be something that juts out in a dramatic fashion. Either way, it’s a trade show exhibit design element that is unexpected in an exhibit hall where there’s already a concrete ceiling and likely a catwalk above the various trade show booths. Hanging signs have become more common, but a ceiling can be a surprising trade show exhibit design element. 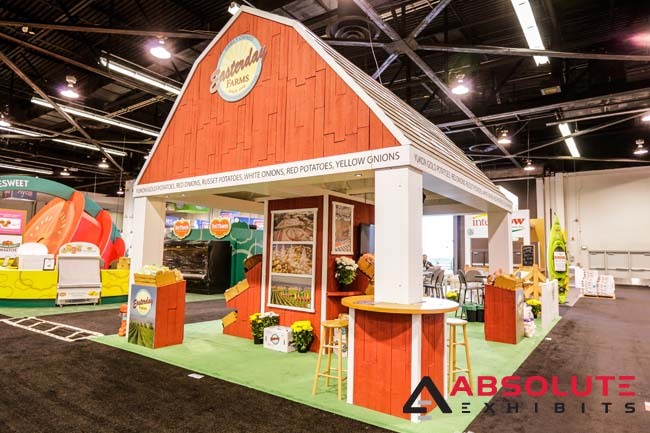 If your exhibit is themed and you add a ceiling to that trade show exhibit design, it can really pull the theme of the exhibit together. In many cases, this can connect the dots for visitors who now understand your produce is farm to table, or that your brand really encompasses a certain lifestyle that they too might be looking to embrace. 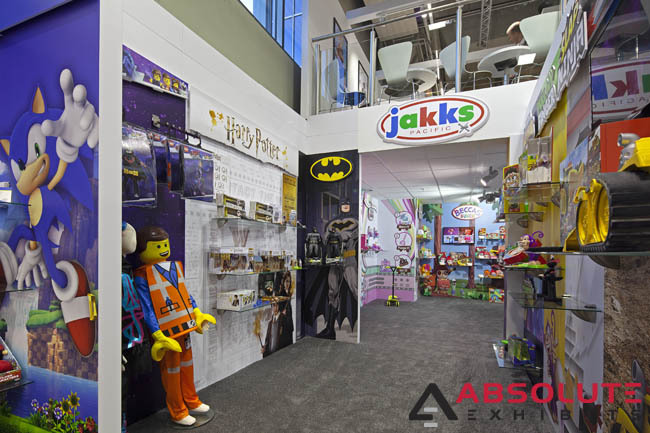 By adding a ceiling to your trade show exhibit design, it creates a more intimate space. People feel like they’re in a store or a room filled with fabulous things. If your business is exhibiting at a trade show that’s known for luxury, opt for a ceiling as a part of your trade show exhibit design to create that intimate experience that people subconsciously crave. Particularly for shows that are about retail items, a ceiling can create that store front feeling within a massive exhibit hall that they’re looking for. 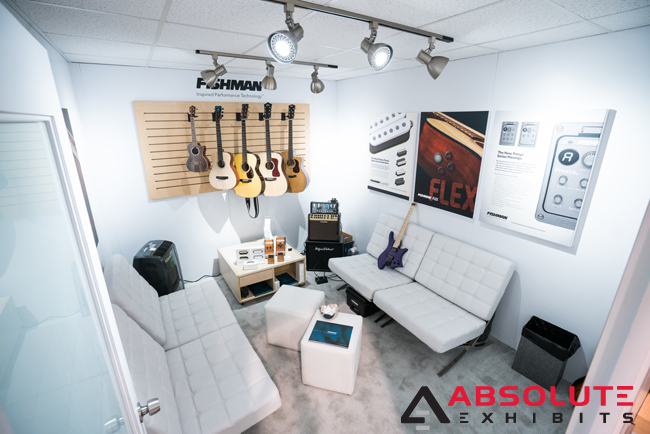 Particularly at shows like NAMM, where there’s a lot of musical instruments being played across the trade show floor, it’s important that your trade show exhibit design can drown out the noise of your competitors. Imagine trying to sell your guitars but being drowned out by drums down the row, or a competitor’s products across the trade show aisle. This would be maddening. Instead, try a ceiling that can amplify the acoustics within your trade show booth and keep the focus on your products while simultaneously providing relief from the din right outside. In this case, a ceiling makes perfect sense for your trade show exhibit design. It can be difficult to stand out among the crowd at a trade show. Exhibitor Magazine estimates it takes people exactly 3 seconds to scan the floor and decide whether or not they’d like to visit your trade show booth. In those 3 seconds, if you have something unique and eye catching such as a ceiling incorporated into your trade show exhibit design, you can attract more people to your booth to learn more about your products. Consider how something simple like a ceiling can increase your trade show leads and bring in more potential sales.